If I were ever to design a personal coat of arms (you know, the kind that knights of old had on their shields) I think it would have to have a hummingbird in flight on a blue and pink checkerboard field with a KitchenAid mixer on the left and a Bernina sewing machine on the right. That would encompass my favorite colors, my favorite activities, and my mascot. I am like a hummingbird in that I flitter. I flit from project to project, staying with one only long enough to generate a substantial amount of mess, then abandoning it as I find something new to try on a blog, in a catalog, in a store, or on Pinterest. I love the giddy, fizzy feeling of dreaming up a new project, planning for it, purchasing supplies, all the while envisioning how wonderful the finished project will be. I can just picture how smoothly and neatly it will all come together. Then when the inevitable snag or hiccup arrises, I'm irritated (sometimes to the point of wadding it up and throwing it across the room) and quickly move the project from the active work space over to the tottering "to finish up later" pile, replacing it with whatever seems the most pressing or interesting at the moment. For the last 3 years I've made it my New Year's goal to finish up projects before starting anything new. Specifically I have vowed to finish up the 4 quilt tops that lie in folded and forgotten ignominy beneath my work table in various states of "so close but not quite done." And how have those goals worked out for me? I think the fact that I can transfer the same goals onto the next year's Goals page in my journal without changing a word shows that something's not working. Perhaps I've just taken on tasks that are too big and my interest wanes before I complete the project. More likely, though, the problem lies in my attention span. I can only focus on one thing for so long before I'm distracted (Squirrel!) by something else (Oooooh, shiny!) and want to turn my attention (what's for lunch?) to the next thing. 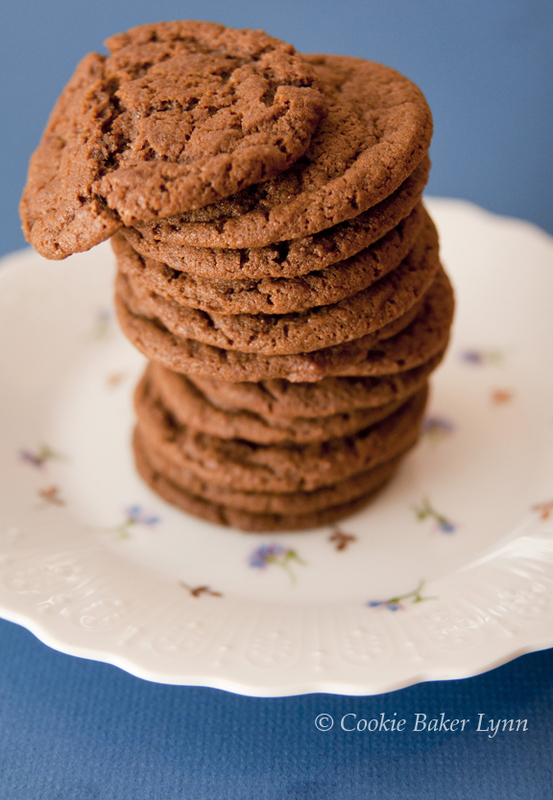 Molasses cookies are always welcome in our house and these received an especially enthusiastic welcome. I'm sure the carb-deprivation contributed to the rave reviews, but even those friends who are still eating carbs enjoyed them and gave them big thumbs up. 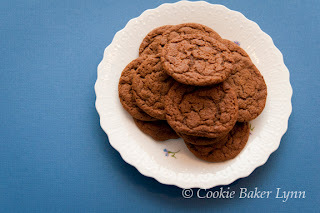 Soft, not too spicy, and they stayed fresh in the cookie jar for several days. I think this recipe is a keeper. 1- Preheat oven to 350 deg. F.
2- In a medium bowl, combine the sugar, butter, coconut oil, and egg. Beat well with an electric mixer at medium speed. Add the molasses and beat well. 3- In a small bowl whisk together the flours, baking soda, salt, ginger, and cinnamon. 4- Add the flour mixture to the sugar mixture and stir to combine. 5- Shape dough into 1-inch balls. Place on ungreased cookie sheets, about 3 inches apart. The cookies will spread as they bake, so leave space. 6- Bake at 350 deg. for 8-10 minutes, till the centers are just set. Cool the cookies on wire racks. This made me laugh way too loud. I can relate to not finishing things once they get to be a challenge. I have a love/hate relationship with Molasses cookies - mostly because I had an awesome one ONCE and have been looking for a "not to spicy" recipe every since. Sometimes there is just TOO much ginger in there! There are getting printed up and added to my book to try on my next free day. They look beautiful! The cookies look great! I can't wait to try them! So accurately and kindly transferred into words! 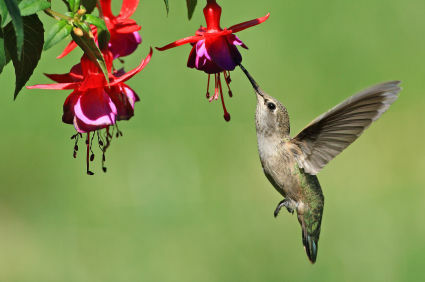 From now on I will think of myself as a hummingbird, much better than grumbling over my lack of spine (is what I think it was, instead I'm a hummingbird! So so much nicer). I love hummingbirds. I haven't seen any where I live right now but they used to visits my garden at the house often. 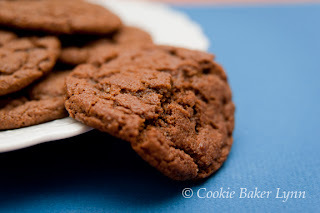 I also love spicy molasses and ginger cookies. Kinda fun being a hummingbird...and we look so pretty and magical, too. I'll have one of those gorgeous cookies, too. Maybe it will cure my hay fever if I add a little freshly ground ginger? Should go well with the tea and honey. Glad you are a hummer, too. I think we amuse the ants and turtles.